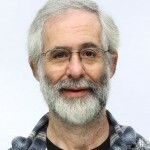 Quartz Asks CTO Dan Bricklin: Is There a Spreadsheet Equivalent that will Revolutionize the Mobile World? This week, Quartz, a digital news outlet for business people in the new global economy, interviewed Alpha Software CTO Dan Bricklin, creator of the first “killer app.” The article, by Jason Karaian, highlights Bricklin’s on the computing industry with the creation of VisiCalc – the first modern spreadsheet -- with Bob Frankston. “What types of tools do we need on a mobile device? Entering lots of data into a spreadsheet is not it. One of the most interesting ways to input data on the mobile is the camera. It can hold so many types of information that we can’t express through other means, including emotional content. That is an area of interest. I’m sure there’s space there. To read the full interview with Dan, click here. To listen to another recent interview with Dan on the future of mobile apps and what he’s working on at Alpha Software, click here.